Dropbox, an innovative startup, which refused a mouth-watering acquisition offer from Apple, has been one of the favorite apps across all platforms. Be it iOS, Macintosh, Windows, or our very own Linux, the file-hosting / online backup service has managed to gain more than 25 million users in a very short span. Furthermore, the simplicity, ubiquity, and the lack of any big competitors have made Dropbox one of the most essential apps out there. That said, Dropbox isn’t without its share of problems. The startup was heavily criticized by many privacy-conscious users for being insecure. Software expert and the creator of GNOME went on to claim that Dropbox’s Terms of Service (TOS) contradicts its privacy policies and that the company’s famous claim “Dropbox employees aren’t able to access user files” is an outright lie. 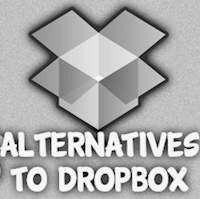 Thus, issues abound, many Dropbox users have already started searching for some good alternatives. For Ubuntu users though, there aren’t that many choices as there are for Windows and Mac users. That said, it’s not as if you won’t be able to leave Dropbox behind. In fact, there are some great alternatives that provide almost the same amount of features as the popular startup. With unmatched features, UbuntuOne is perhaps the best alternative to Dropbox. The personal cloud service developed by Canonical Ltd. already has a lot of users. Users start with a 5GB storage, which, when compared to Dropbox’s 2GB starter, is more than enough for many desktop users. UbuntuOne, apart from being a cloud storage service, also powers the syncing capabilities of Ubuntu. The service integrates with Thunderbird (Ubuntu’s default Email client) and Tomboy (a popular note-taking application for Linux) to make sure that all your contacts and notes stay safe in the cloud. Another unique feature of UbuntuOne is its ability to integrate with the UbuntuOne Music Store. What this does is, whenever you purchase a song from the store, it gets automatically delivered to your UbuntuOne account. This song can then be streamed to your cloud-integrated mobile devices (iOS and Android). Written in Python, UbuntuOne works well across Windows, Ubuntu, Android, and iOS; however, the lack of native client integration for Kubuntu and other distros has often been criticized by many. Additional Storage: 20GB for $2.99 per month or $29.99 per year. Pronounced as voila (FR), Wuala is a secure online storage, file synchronization, versioning, and backup service that works across many popular platforms. Developed by a Swiss company called LaCie, the free service allows users to sync their files, share them, and back them up securely to the cloud. Thanks to Java, Wuala works well across platforms like Windows, Mac OS X, and of course Linux. Wuala offers free 2GB storage for its starting users, which, like in Dropbox, can be expanded using referrals. A unique thing about Wuala is that it puts a lot of focus on the user’s privacy and security. Each file uploaded to Wuala is first encrypted, then chunked into redundant fragments using Reed-Solomon error correction codes, and finally, the fragments are uploaded to data centers. Though not as popular as Dropbox, or even UbuntuOne for that matter, Wuala does prove to be a secure and feature-packed choice for cloud storage. SpiderOak is a cross-platform online backup tool that allows users to share, sync, access and store files using the cloud. Starting with 2GB storage, users get to store and backup their files with client-side encryption. The encryption, which is a combination of 2048-bit RSA and 256-bit AES, gives SpiderOak a definite edge over its competitors like Dropbox. Partly open-source, SpiderOak works really well on Linux, Windows, Android and Mac. Additional Storage: $10 per month per 100GB increment. Minus is a free cloud service that allows you to store, sync, and share files using the cloud. Though Minus mainly focuses on sharing, it is still one of the best applications when it comes to cloud backup. Standing apart from other file-storage application, Minus comes with a unique drag-and-drop interface that works across web, mobile, as well as desktop. With a native application for Linux, minus makes it easy for penguinians to upload all their files -- especially their photos -- to the cloud. You can then choose to make your files public, which will help you gain some ‘karma’ if they get popular. Minus users start with 10GB of storage; however using referrals you can increase that space to up to 50GB. Use this link to sign up and you’ll get an 11GB storage instead of the standard 10GB one. UbuntuOne compared to DropBxo is really slooooooow. It is sooooooo slooooooow. can anyone answer me the question..
how to integrate ubuntu services on window platform?? ?